Over the last 8 years, LifesCycle has evolved into a space enjoyed and patronised by loyal LifesCyclers far beyond what we ever imagined. We are in awe of what we have created – it has been all-consuming and at times we have felt exhausted. But I’m equal measures, we have felt inspired and invigorated! We never meant for LifesCycle to become a ‘Business.’ A key part of the thinking behind what we do is a desire to counter the commercially driven culture in which we live and instead to offer something more real and honest, physically but also emotionally and mentally. Our approach to being open while we are busy, and in demand, to only doing as much as we as people are able, to closing when life requires us to, are all a part of that aim. 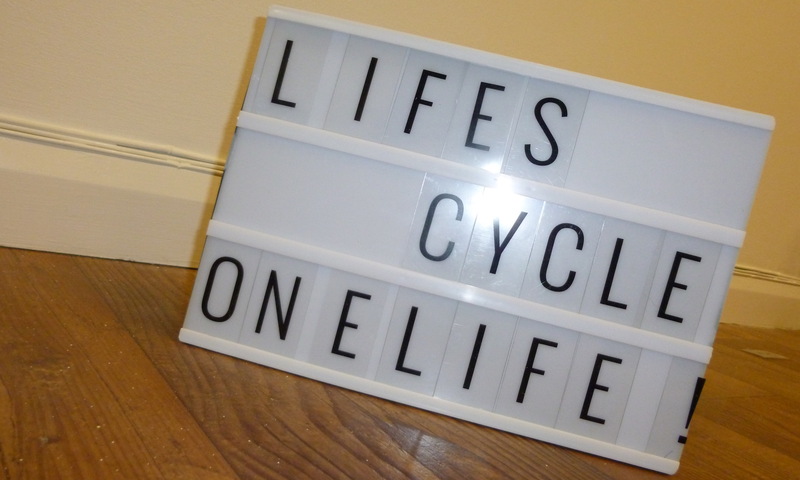 LifesCycle has always been a project, a work in progress. It grew out of our own lifestyle of building a community, sharing, through doing something we loved – for Andy in particular Spinning® functioned as a medium through which to satisfy his creative energy….to engage with our interests in the significance of sport, mental health and wellbeing, health and fitness and their value in our everyday lives. We are not motivated by profit margins, expansion or acclaim but rather by shared pleasure, enjoyment and satisfaction. We care deeply about what we do and the experience we have created – it is us and we are it. But after 8 years here and no longer having a base……the building is being demolished……we feel that we need to make a change and to reassess our practice. We don’t want LifesCycle to expand, we don’t want to step back and we don’t want to sell ‘the business’ because in our understanding LIfesCycle is a happening, an experience, an endeavour – but we have decided to continue, in a slightly different way, but still as focused and still community based. We would like to thank each and every person who has stepped into LifesCycle and made our venture so far possible.